What are Baa Baa Beads? 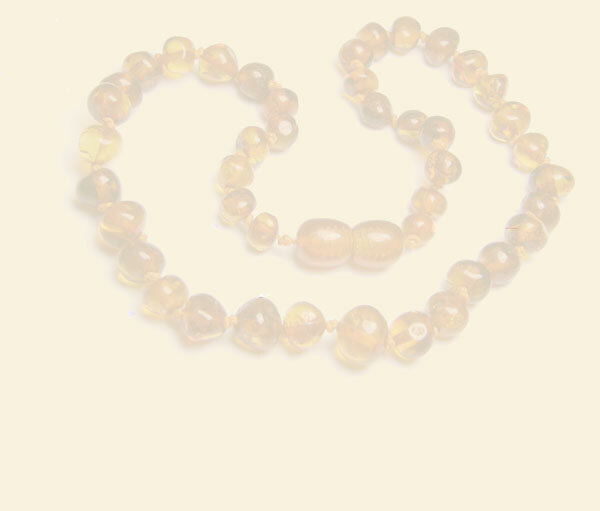 Baa Baa Beads are guaranteed Baltic Amber Necklaces, Bracelets and Pet Collars hand made in Europe. Amber is the fossilized, hardened resin of pine trees (Pinus succinifera) and is said to be 30 million years old, found mainly in the Baltic region. Amber has been used since prehistoric times for jewellery, religious objects, amulets and mascots. Centuries ago Amber amulets were worn as protection from diseases and against being killed in battle, there are also many other ancient beliefs as to why Amber was worn. Baltic Amber contains trace amounts of succinic acid, softens at approx. 150 degrees and melts 250-300 degrees. For many centuries Baltic Amber has been reported to have analgesic and anti-inflammatory qualities when worn. To date there are no scientific studies to support these claims and consequently we do not state them to be factual, however many people continue to report the positive benefits. How does the sizes work? The 32 cms fit babies from 3 months up to 2.5 years old approx. The 36 cms fit babies from 18 months up to 7 years old approx. What is the necklace made out of? It is made our of Natural Baltic Amber from Europe. Ensure when purchasing your Amber products that is it Baltic Amber, there are many imitations and synthetic products in the market. Each bead has been knotted individually which means that if the necklace brakes only one bead will get loose. It is not a toy so it shouldn't be used as a distraction for the child. It is for wearing only, it is not meant to be chewed. If the child will be unattended or sleeping, the necklace should be removed. Although we believe and trust natural therapies for our families, we are aware and must advise that these treatments may not work for everyone. You should always work with your Medical practitioner whenever you begin a new therapy even if it is a natural treatment. If you have any further questions, feel free to contact Sharon or Vicky.